Located in Beverly Hills, the luxury residential project was designed by MAD Architects with Gruen Associates as the Executive Architect. 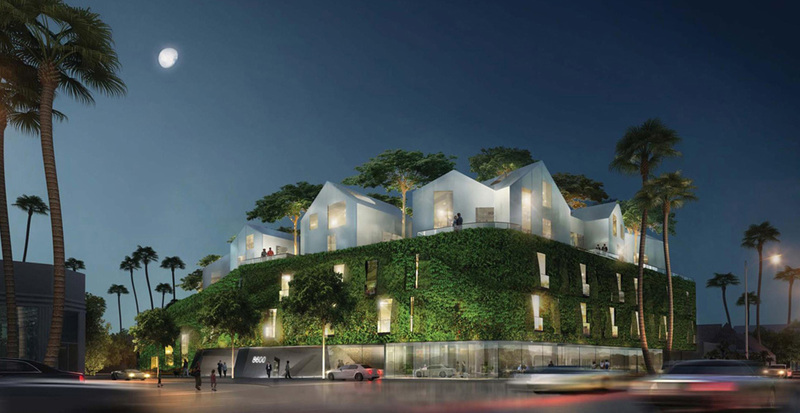 The mixed-use private development project evokes the feeling of a “mountain village” hovering above street level. A distinctive green wall covers the facade above the ground-level retail, providing a distinctive landmark along Wilshire Boulevard. Condos, townhomes, and villas make up the 18 residential units that are arranged around a shared central courtyard. 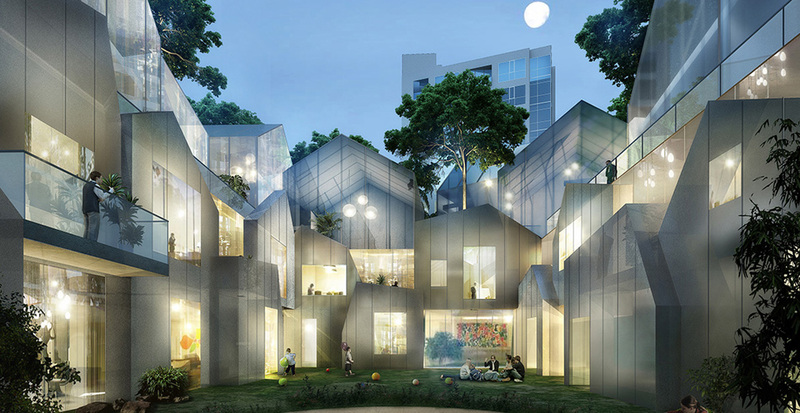 The iconic design will act as an extension of the neighborhood’s character from its heart at the “Golden Triangle” all the way to its borders. Furthermore, as a home to both residential and retail, the 51,000-SF project is a model of the type of urban density necessary for a thriving community.